I think it was 2013. But I cannot remember, I visited workshops for years so I cannot say when the was the first time a I did something with my own hands. It was during a Christmas Market in Milan. 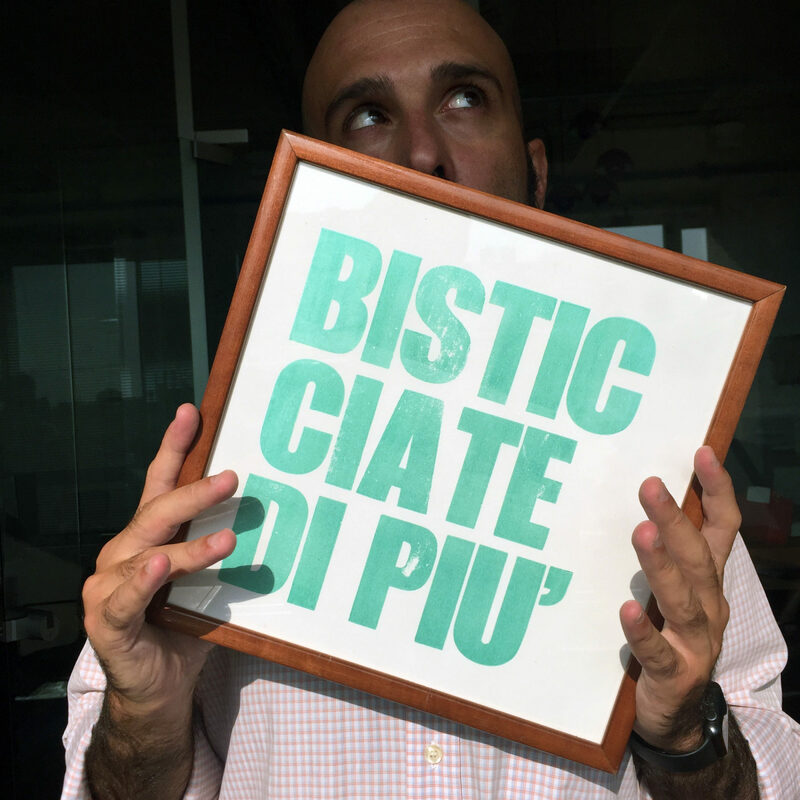 Fabrizio and Alessandro from Officina Novepunti were proposing amazing posters for cheap and I felt good vibes…. for gifting. Claudio Madella and Fabrizio Radaelli, for sure. Cleaning up workshop in the blink of an eye?! Yes, that one. Creativity is not useful, it’s fundamental. It makes people understand better things and each other, what we do is make the world a little bit more interconnected, clear and peaceful. I used to write a lot, and mixed media are the natural environment for my projects. Old papers, typewriters, letraset, digital magazines.